Looking to buy the latest consumer electronics? Treat yourself at GITEX Shopper Spring for the best deals from leading retailers including EMAX, Jacky's, Jumbo, Sharaf DG and more. Find fabulous deals and big savings on top tech brands for 4 days only & win big. 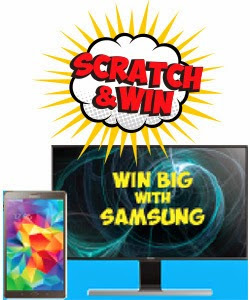 Here are some of the prizes which you can win at Gitex which starts from April 1 to 4th. 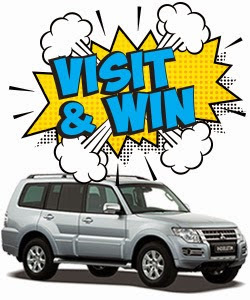 #1 lucky winner will have a chance to drive away a Mitsubishi Pajero just by visiting the show! 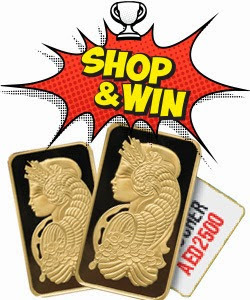 #Win 20 gram gold bars every hour every day at the show (10 bars every day) when you spend AED 2,500 and above. #Every visitor buying an entry ticket to the show will get a Scratch & Win raffle coupon.